is a Pulitzer Prize-winning investigative journalist and book author living in Munich (Germany). He is working for Süddeutsche Zeitung - Germany's biggest quality newspaper. Obermaier's work focuses largely on tax-havens, corruption, extremism and intelligence services worldwide. He has taken part in numerous award-winning investigations, among others by the International Consortium of Investigative Journalists, the Organized Crime and Corruption Reporting Project, the Forbidden-Stories-project. Together with his colleague Bastian Obermayer (with whom he is not related) Frederik Obermaier initiated and coordinated the "Panama Papers"-revelations after an anonymous source provided 2,6 terabytes of internal data from the dubious Panamanian lawfirm Mossack Fonseca to them. Obermaier co-authored an international bestseller about the project. Before the Panama Papers, Obermaier was part already of the international team of journalists, who revealed the "Offshore-Leaks", "Luxemburg-Leaks" and "Swiss-Leaks". After the Panama Papers, he and his colleague Bastian Obermayer also received the "Paradise Papers"-documents, which were published in November 2017. Obermaier has received numerous honors for his work, among others the CNN-Award, the Otto-Brenner-Preis, the renowned Wächterpreis, the Journalistenpreis Informatik, the Helmut-Schmidt-Journalistenpreis and together with his colleagues the Scripps Howard Awards, the George Polk Award for Business Reporting, the Barlett&Steele-Award as well as the Investigative Reporters and Editors-Award (IRE-Award). For the Panama-Papers-revelations he was together with Bastian Obermayer and Vanessa Wormer elected Germany's "journalist of the year 2016". As part of the Panama-Papers-team he won the Pulitzer Prize 2017 in the category "Explanatory Reporting". In 2017 Obermaier was awarded the Murrey Marder-Fellowship in Watchdog Journalism at Nieman-Foundation at Harvard University. 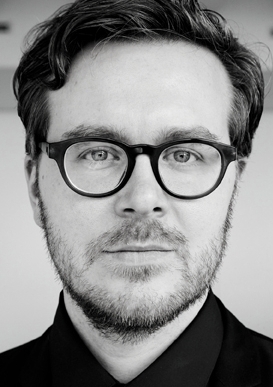 Frederik Obermaier is member of Netzwerk Recherche, of the Forbidden Stories-Network and of the International Consortium of Investigative Journalists.